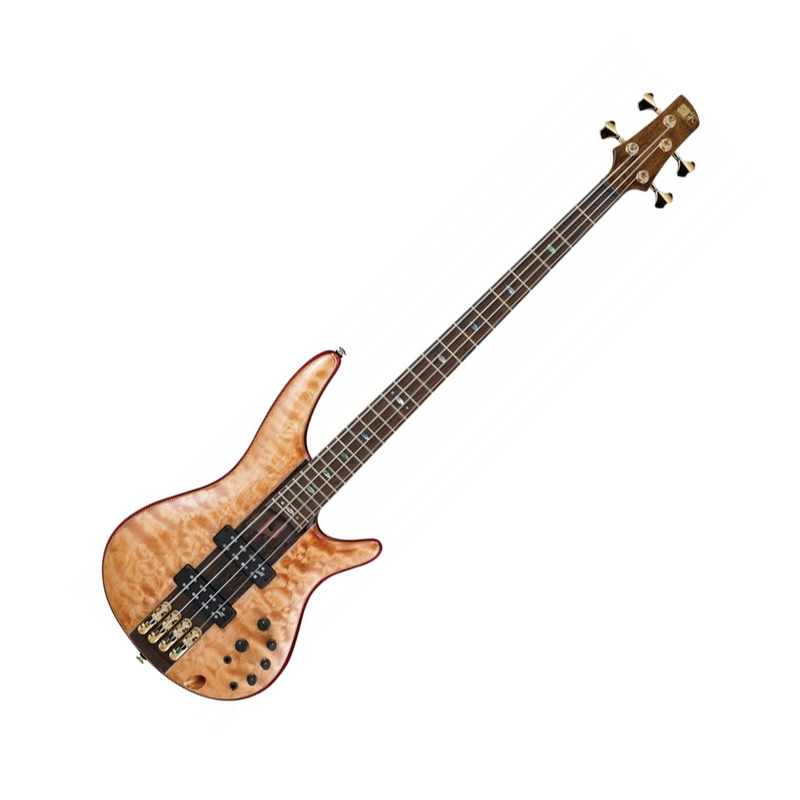 Ibanez makes some very fine instruments, and the Premium SR2400 bass is no exception. Ibanez chose a mahogany body for warmth, low-end impact, and rich sustain. It's topped with poplar burl, a striking look that also enhances your tone. And the 5-piece panga panga/purpleheart neck with KTS titanium rods doesn't just provide striking visual detail, it's incredibly strong to resist warping and twisting over the years. The neck is capped with a silky-smooth panga panga fingerboard, graced with abalone oval inlays. In spite of these impressively exotic materials, this Premium bass stays true to a foundational element of the SR concept: that of being delightfully lightweight - an ironic contrast to this instrument's girthy sonic character.